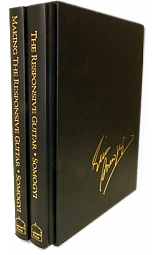 I have two recently released books, THE RESPONSIVE GUITAR and MAKING THE RESPONSIVE GUITAR. 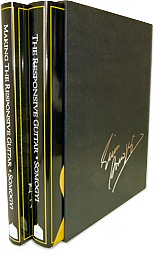 The books are available as a set, accompanied by a nice slipcase for both books. You can use our Order Form to pay by check via mail.